Lalli was created from a couples courage to forgo all the rules and surge forward together to create something that they shared a love for, Mother India. She from Australia and he from Turkey, both knew that the years Mother India nurtured them to become one, took them into her culture and made them feel apart of her family they knew they had to do something to give back with gratitude. Deciding to work with the rural community they felt so much apart of, was how Lalli began. The community was thriving with the Tailor Cast and therefor making clothes seemed to be the most appropriate place to start. In 2005 the couple began work with their beloved India village and sourced material from major cities. They started off by making a few fun dresses to take back to Turkey, to sell on a beautiful beach called Olympos. The business was a success – But the working condition in India where not. So the next idea was to build a work space in the rural village where everyone can work on their individual skilled areas under a spacious, non threatening environment. After a few years this dream became a reality and Lalli built a spacious, airy, beautifully crafted, work space for the team that helped essentially built Lalli over the years. In creating this work space it attracted many other designers from across the globe to start producing clothing with our team. After years of perfecting our knowledge on design, fit and production we decided to showcase Lalli to Australia and have received a positive response. Our business ethos above all, has proven to be the biggest success. Lalli is the ethical clothing label for free thinking individuals, creating sustainable livelihoods for the community we work with. We remain passionate about our work. Creating, producing and delivering each piece to people that want to be apart of our story. The Lalli story can only be completed by creating awareness with our customers. The message is fairness and equality. We want our customers to know where their clothes come from, who makes them and how. We are committed to a continuous campaign in maintaining an ethical standard with fair trade practices for everyone involved with creating Lalli from employees to customers and across the whole community. 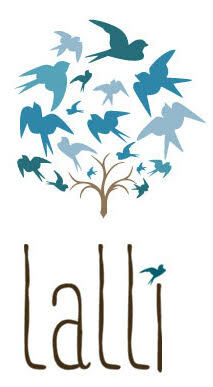 We thank you very much for supporting Lalli, so we can continue to work with love.